Mr. Cheesers lived a good life. He was a gentle rodent, had a booming family of 87 kids and enjoyed nibbling on garbage. It's a tragedy, really, that he couldn't be with the world of living any longer. 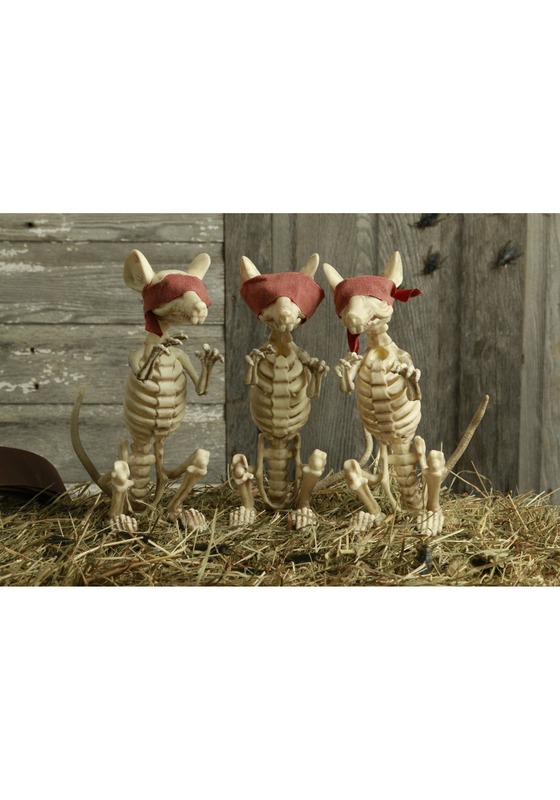 The bell tolls for every rat someday! 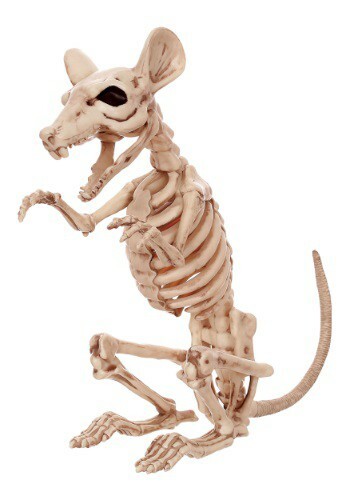 You can honor his life by scaring local children with this Skeleton Rat decoration, which is a recreation of his bones! Take it a step further by surrounding him with a fine, moldy gorgonzola, cardboard boxes that are perfect for chewing, and some couch stuffing. To some, it might look like a pile of trash to you and Mr. Cheesers it's an altar. Mr. Cheesers would have loved seeing the look of horror on their faces. The replica of his body is eleven inches tall, eighteen inches if you count his tail and nose. The jaw even opens and closes for an animated look. He's even got big old ears. He looks like he's about to launch. . . who knows, if you give him enough attention he just might come back to life!